Fantasy football owners will have their hands full in Week 7 with several key players in tentative injury situations. Every week of the fantasy football season is difficult in its own right, but it's always unpredictability that makes for the toughest decisions. That's why the latest Week 7 fantasy football injury updates will have owners scratching their heads. 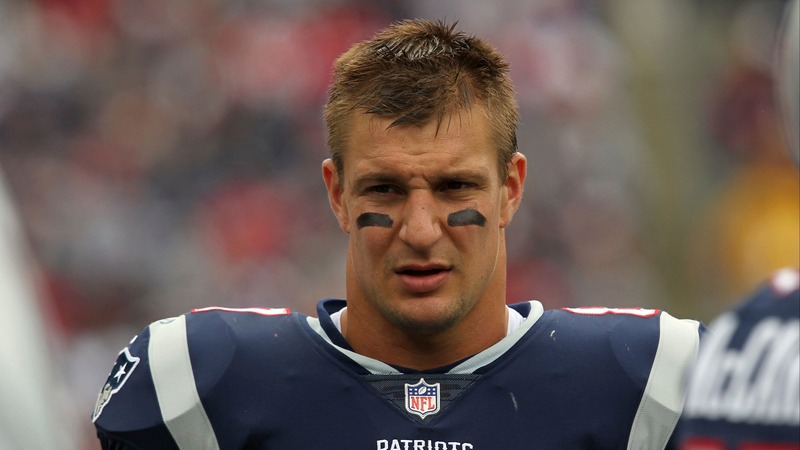 Rob Gronkowski has been dealing with a lingering ankle issue most of the season that has kept him on injury reports. However, he hadn't missed a game and up until late in the week there was no reason to think he'd miss Sunday against the Bears either. Unfortunately for Gronkowski owners, he had a back injury added to the injury report late in the week. Still, the assumption was that he'd play until Saturday evening when Gronkowski [wasn't on the team plane](https://www.betchicago.com/rob-gronkowski-patriots-bears-injury-update) to Chicago. Gronkowski is now doubtful for Sunday and it would take a last-second flight into Chicago and a major turn in fortune with his back. So now fantasy owners will be stuck with their TE2 in a brutal market for the position or, even worse, have to shop for a last-second replacement. If you're lucky enough to be in a league where David Njoku or O.J. Howard available, jump on them. Howard is only owned in 57.8 percent of NFL.com leagues and Njoku in 42.8. Njoku has seen a huge uptick in usage since Baker Mayfield took over and Howard has been the big-play tight end for the Bucs and provides a comfortable floor with at least 54 yards in each game he has played. If you have to look any deeper than that and things get dicey. Ben Watson is available in 85 percent of leagues and could always go off any given week in that Saints offense. __Play to win:__ [Join BetChicago's Bears contest on Sunday for a chance at $10K](https://betchicago.chalkline.com/games) Meanwhile, Dalvin Cook has also been downgraded to out. If you're a Cook owner, you knew there would be uncertainty and should have prepared accordingly. Preferably, that meant grabbing Latavius Murray when the injury originally happened. If you didn't and you're still looking, see if your leaguemates were dumb enough to leave Nick Chubb sitting in free agency after the Carlos Hyde trade. Need to dig deeper? Think about grabbing Ito Smith with the Falcons. He's got a chance to start stealing carries if Tevin Coleman continues to struggle as a replacement for Devonta Freeman. As for some good news, T.Y. Hilton has no injury designation heading into the weekend after sandwiching two full practices around a limited practice to end the week. If you're really deep at WR, you can consider sitting him as he gets back into the swing of things and against a solid Bills secondary, but if not you can start him.